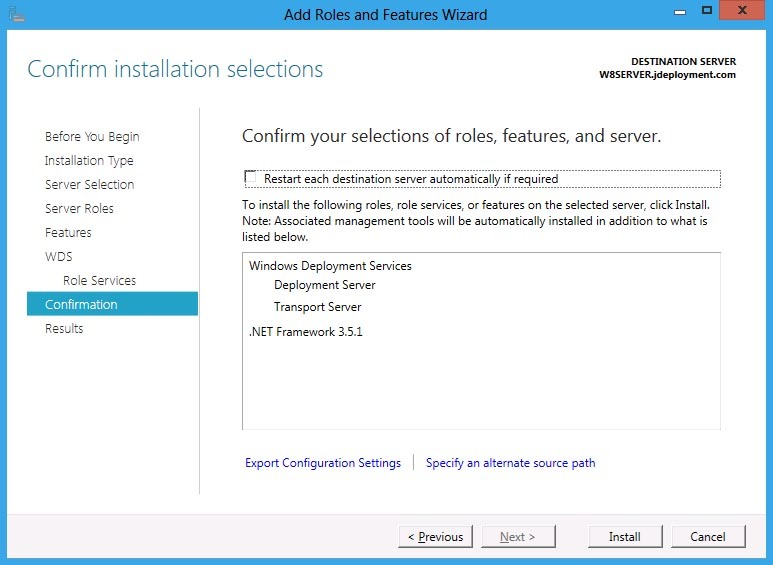 There are several methods to add roles from the Server Manager. 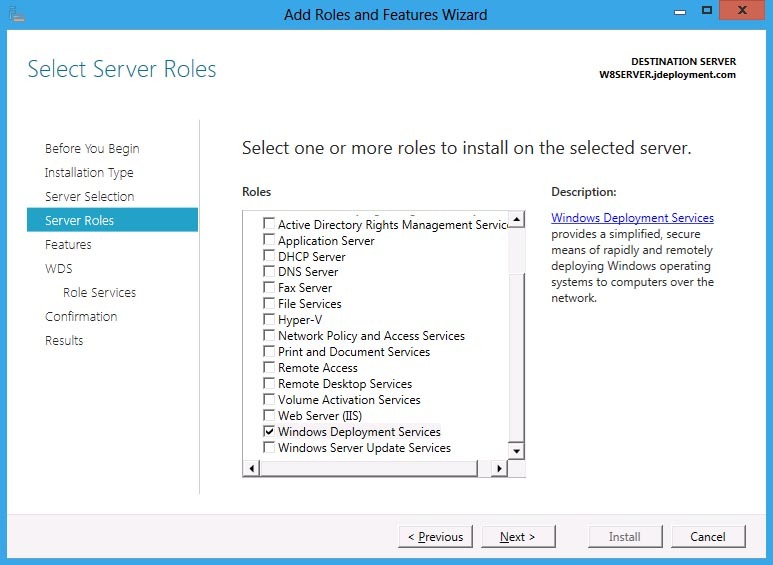 In this scenario: right-click a server where you will install a certain role under All Servers then select Add Roles and Features. 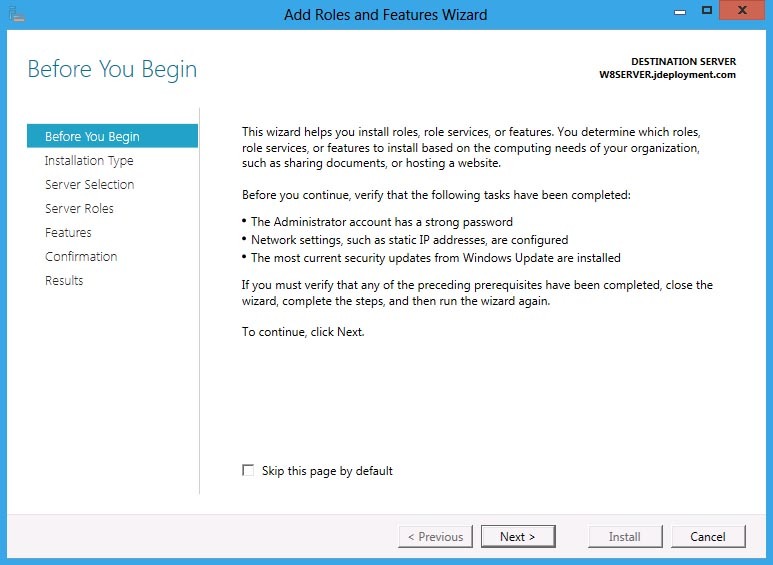 The Add Roles and Features Wizard will prompt, click the Next button. 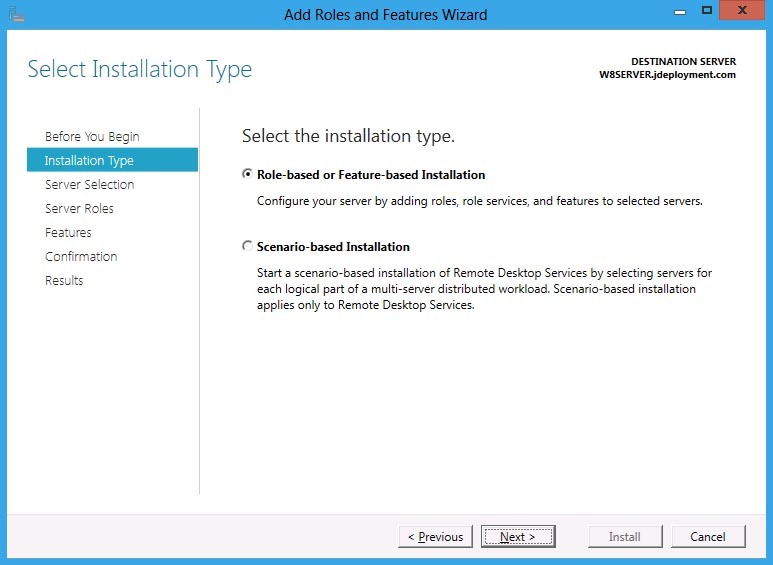 In the Select installation type, choose whether to install Role-based or Feature-based Installation or Scenario-based Installation and click Next. 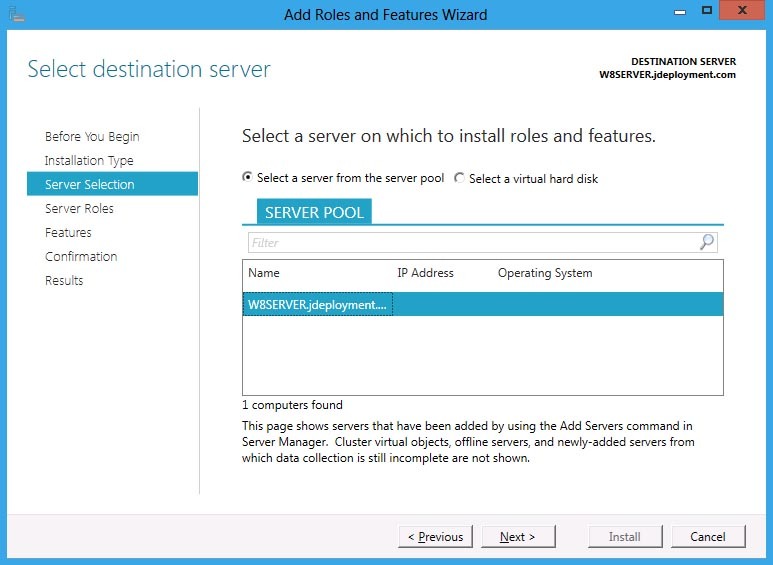 In the Select destination server screen, under server pool, select a server where to install the Role. 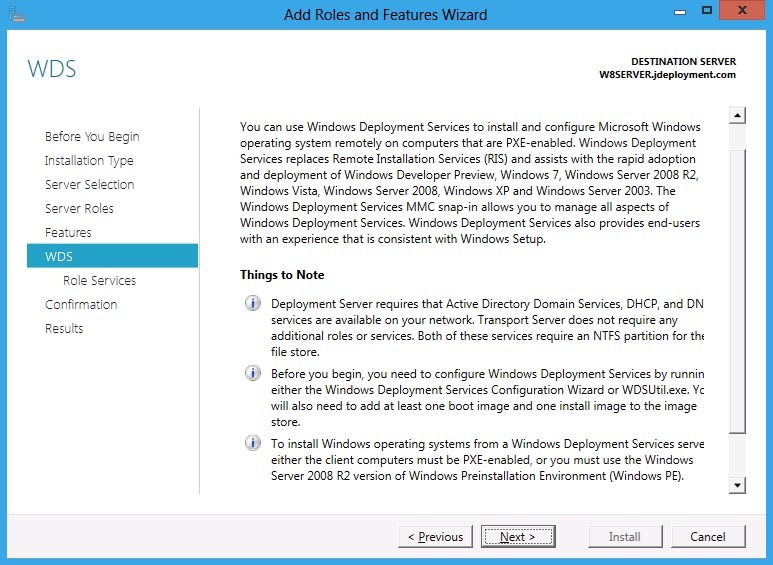 I’ve selected Windows Deployment Services as a role for my Windows 8 Server. Select a feature(s) to install and click Next. The next screen will give an overview of the role that you are installing, click Next to continue. 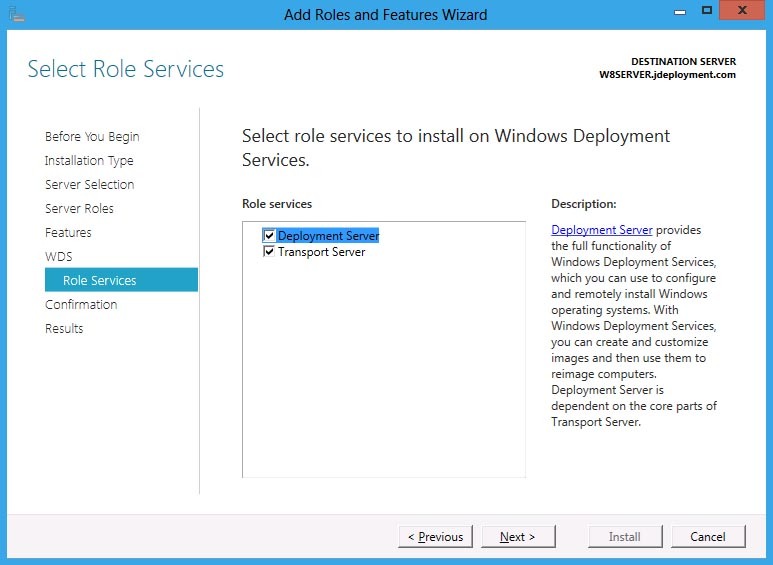 Just leave the Deployment Server and Transport Server selected and click Next. In the Confirm installation selection screen, there’s a “Restart each destination server automatically if require” check box, we’ll skip this one as it is not needed. 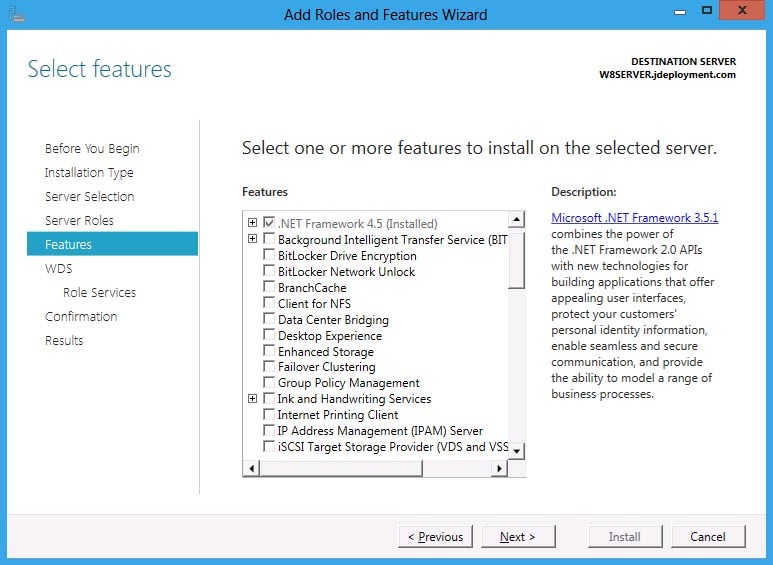 I’ve also added the .NET Framework 3.5.1 since it is required for the of Windows AIK installation. You can even close the Add Roles and Features wizard without interrupting the running tasks, you can open the page again by clicking the Notification in the command bar > Task Details. After getting the Installation succeeded under the View installation progress, you may now click the Close button. 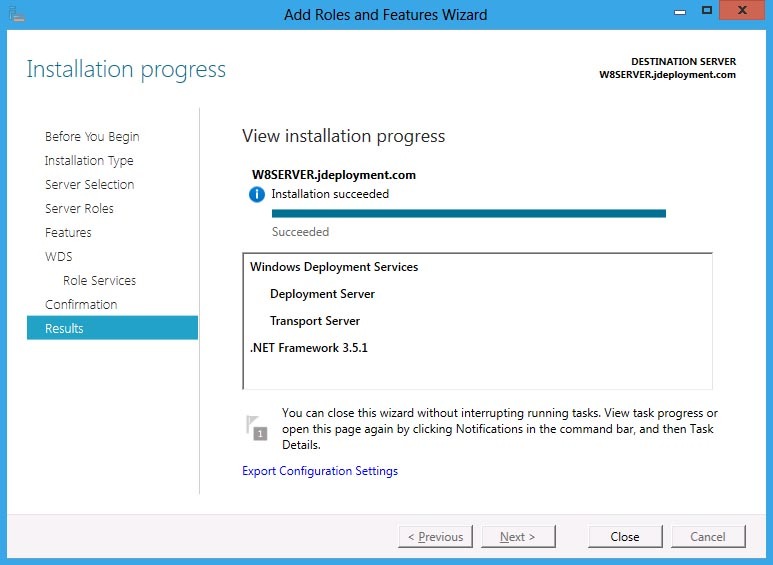 Back in the Server Manager, you can now see Windows Deployment Services under dashboard. The newly added roles is also shown in the Metro Style Application Interface. To add another role and feature, you can also click Manage and select Add Roles and Features from the drop down list.